Walk in style this winter with the Army Light Down Jacket with Fur Trim from Mackage. 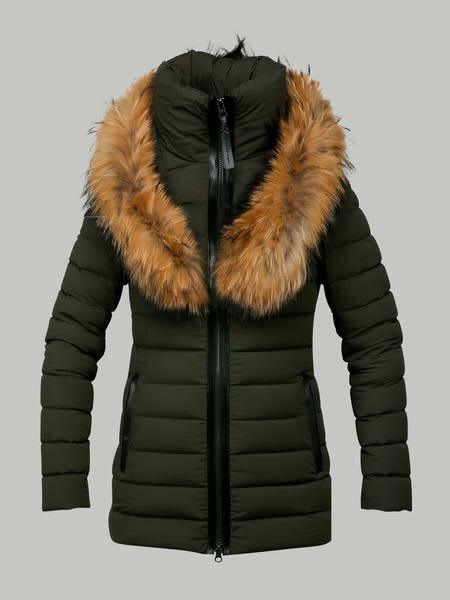 This quilted down jacket with a signature fur collar design patterned by Mackage is truly a stylish and luxury piece. This jacket has zip leather trimmed pockets, a high neck and a central front zip.